Yesterday we went to the Apex in Bury St Edmunds to see the Budapest Cafe Orchestra. (http://www.budapestcafeorchestra.co.uk/review.shtml) We were expecting something authentically ethnic but instead their leader hailed from Haringey and the team came from all over the U.K.
Fortunately the orchestra did not take themselves seriously and describe themselves as “the finest purveyors of Balkan music this side of a Lada scrap heap”. To quote their web site: The BCO is a music-driven phenomenon, a specialist performance-entertainment outfit, certified to enthral audiences everywhere. The infectious energy of the BCO sweeps you off your feet and stays in your heart forever. One journeys from one emotional pole to another: from a desperately tragic evocative heart-rending ancient Jewish melody to a dance from Romania or Russia and all the fiery exuberance that goes with it. 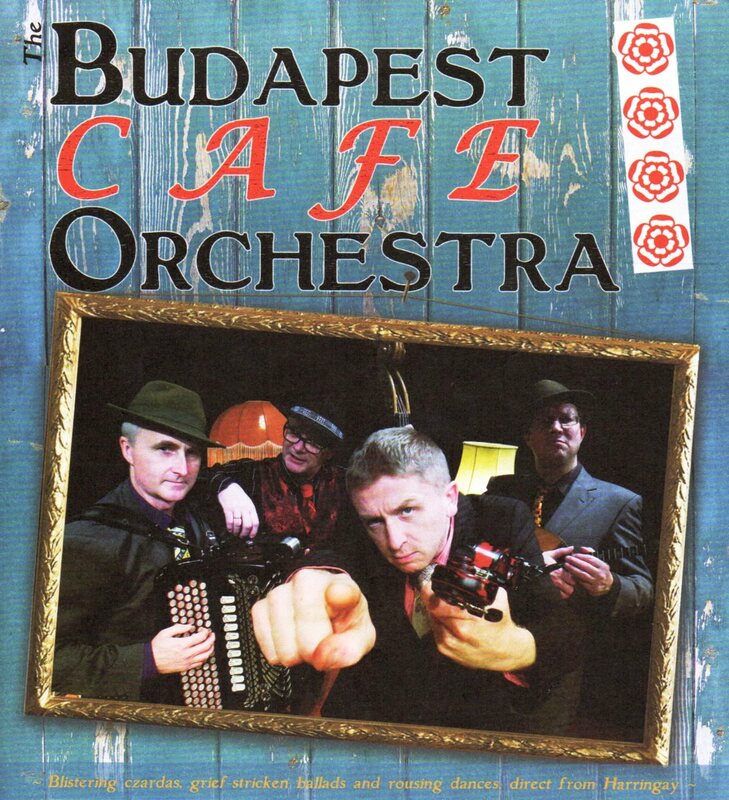 The Budapest Cafe Orchestra share as many blood cells with the folk of Hungary as the Penguin Cafe Orchestra do with the web-footed fellows of Antarctica. Their Magic Potion is a closely guarded recipe of malt, hops, yeast and water, handed down in the secret tongue of Estuary English through generations of Professional Gypsies. With a sole mission: to entertain and enchant audiences, they are undaunted by even the most demanding and wildest village hall crowds, for example those inhabiting the darkest corners of Warwickshire. We dined at Carluccio’s before the show and it was overall a very good night out.